As we mature, our teeth mature and require special care to maintain their health. Dr. Stuart Isler knows what it takes to keep teeth looking young and vibrant throughout active adulthood. For 38 years I have been creating beautiful smiles for all people from teenagers, young singles, newly marrieds, career people, to retirees. I am focusing on the needs of active adults, in addition to all my other patients, as it is a new and exciting part of esthetic dentistry. Active seniors need to prepare for successful long term oral health. Nothing is as durable as your own teeth, but most of us have had extensive dentistry over the years. 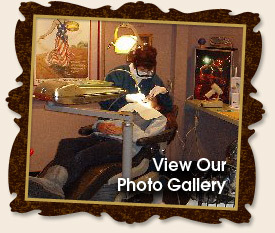 Dentists have enjoyed helping people with the best of care for decades. But dentistry is not as durable as your teeth. It needs to be replaced from time to time. I understand the complexities of your previous care and the solutions to your present needs. Implants are not for everyone, but for those patients who are candidates for this relatively new service, it can be life changing. I work with the best surgeons to give us the perfect blueprint to build you a true blessing. View our photo gallery for before and after photos of procedures. Copyright © 2019 Stuart L. Isler, DMD. All rights reserved. Website maintained by iDesign. Website designed by B&A Creations.